Have you ever noticed how amazingly beautiful wildflowers look alongside a country road? They’re not artfully arranged according to a certain plan, but rather, they’re haphazard and colorful and look better than any store-bought bouquet. 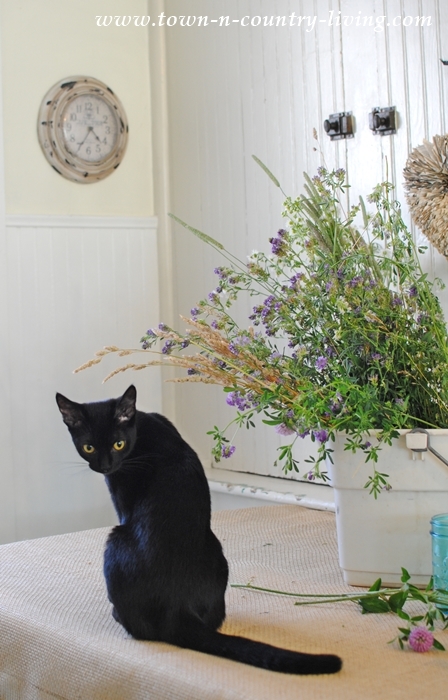 I love to bring these fragrant wildflowers into my home, and you can too! 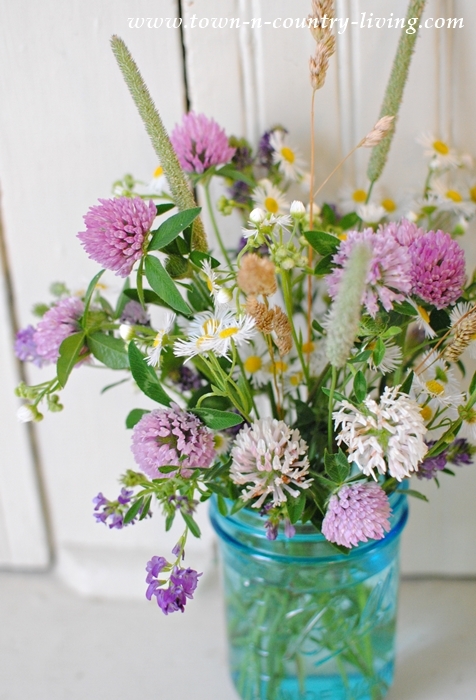 See how easy it is to make a wildflower bouquet. And the best part is … it’s free! 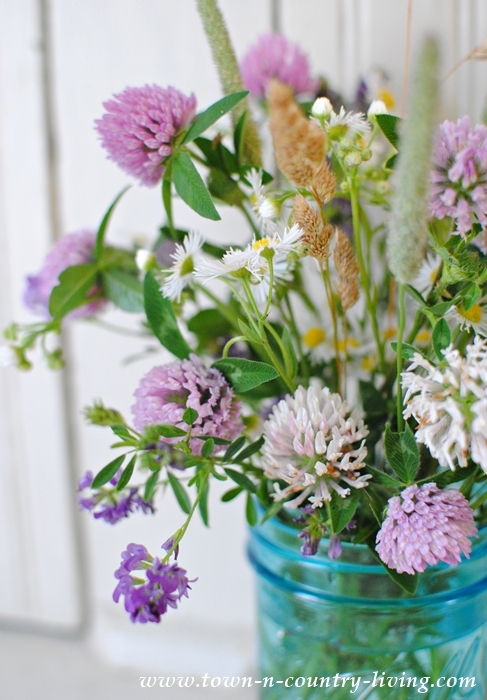 Clover runs rampant along our country roads this time of year and it’s amazingly fragrant. 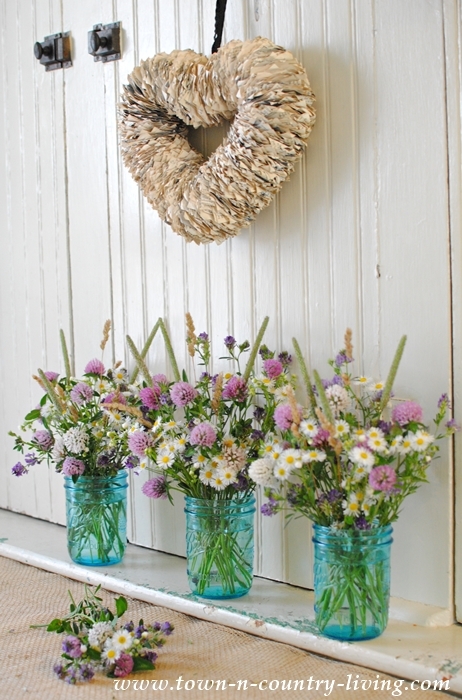 Pair it with other lavender wildflowers or miniature wild daisies for a country style flower arrangement. I like to grab my plastic bucket when I go hunting for wildflowers. I fill it with water while collecting flowers so they don’t wilt before getting home. Here’s my recent haul from the field at the end of our street. 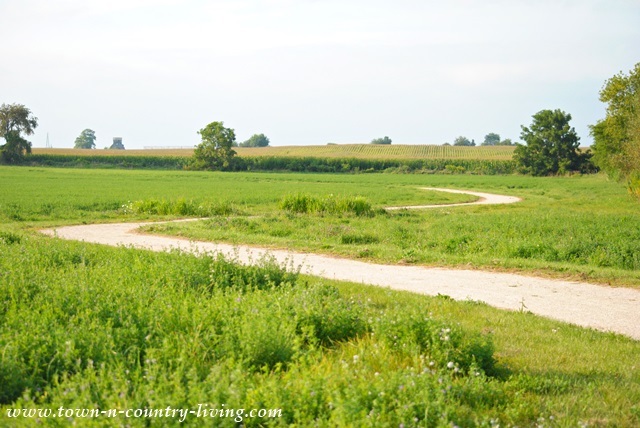 Our street empties into a path that winds its way through a meadow before entering one of our county forest preserves. The grass and wildflowers grow quite high along the path, and I like to collect the flowers before they mow them down. I arrange the flowers right away. 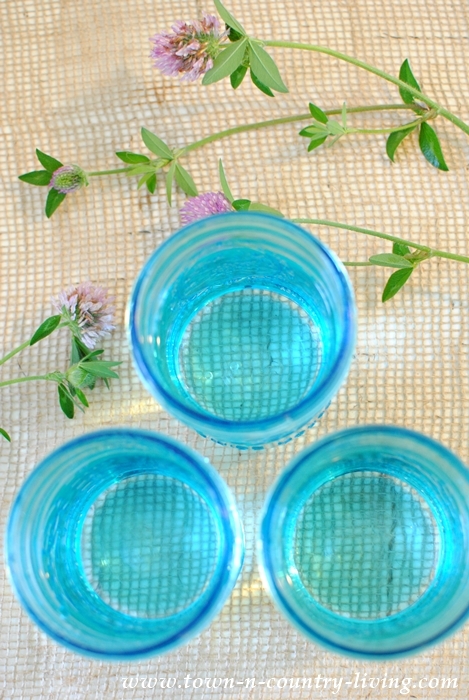 For this wildflower bouquet project, I chose three blue Ball mason jars and filled them with water. To arrange the flowers, I stand the stems up next to the vase to determine the height and where to cut them. Even if you don’t need to adjust the height of your stems, it’s still a good idea to cut just a bit off the stem. The fresh cut improves water absorption. 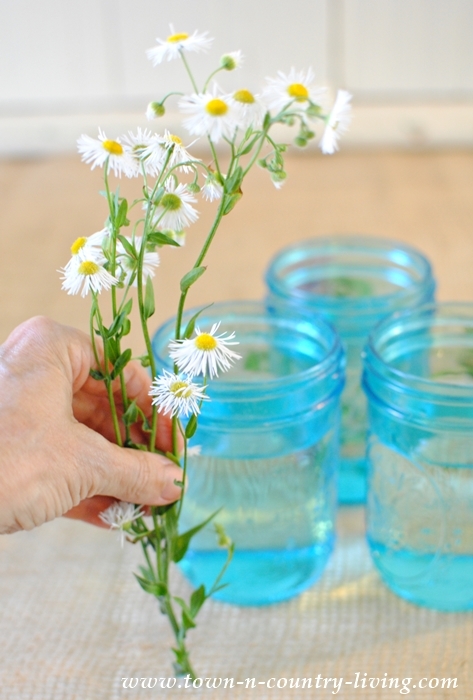 Remove leaves or flowers below the water line and then tuck the stem in the jar. I usually work in flower groupings. I’ll start with one type, then add the next, and finish with accent stems like wild grasses. 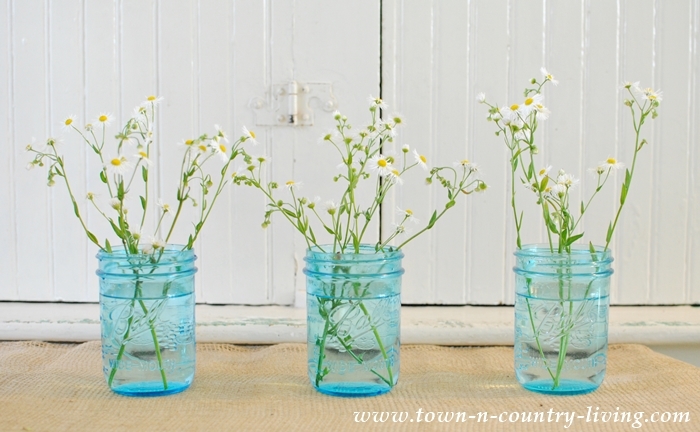 For my blue mason jars, I added a few stems of these miniature wild daisies. Next I added the small purple flowers (I don’t know what they are), and finished with the clovers. 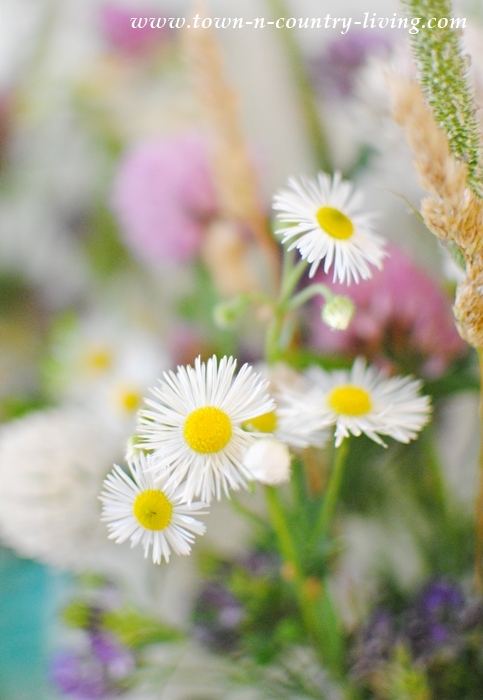 To add a little architecture to the wildflower bouquet, be sure to add a few stems of wild grass. They’re typically growing somewhere near the wildflowers in the field on on the side of the road. I made three wildflower bouquets. Even the green stems in the blue jars look pretty. In nature, wildflowers are haphazard and appear at random. Your wildflower bouquet should express this same abandonment. 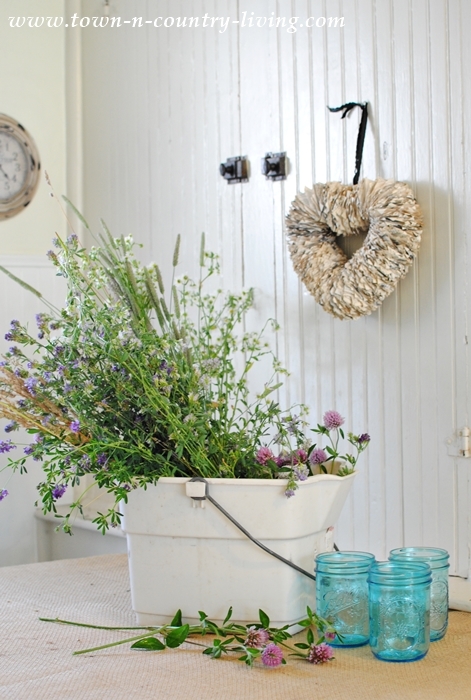 Don’t try to make it perfect … that’s what store-bought arrangements are for. 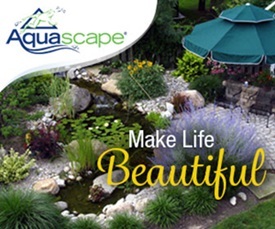 You want to recreate the look of the wild appearance of flowers in a meadow. I had a little helper for this project. Meet Bella, our newest rescue kitty. She loved sticking her nose into the bucket of wildflowers. She’s just the sweetest kitty ever! 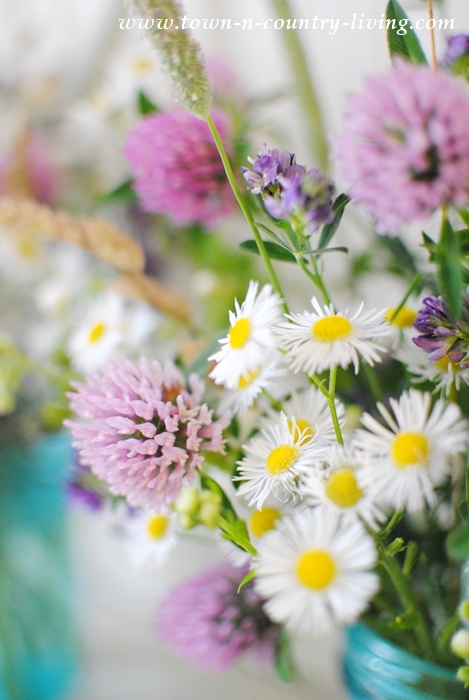 A wildflower bouquet lends simple, floral beauty to any setting. Not only are they pretty, but they’re free! 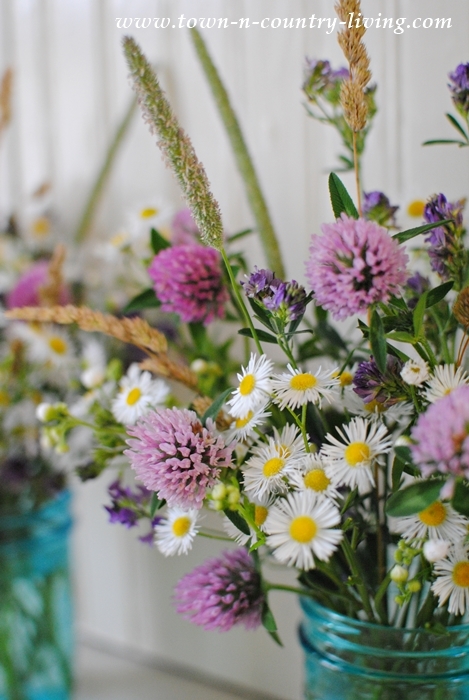 Collect the wildflowers you have in your area to create similar floral arrangements in your home. I love wildflowers. 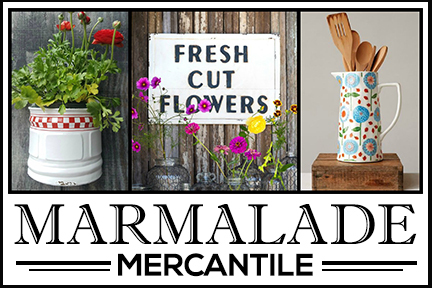 Your shelf looks so fresh and pretty with the blue mason jars filled with the flowers. I also love your newest addition to the family. Very pretty! We live in a rural setting too. My hubby leaves a section of the meadow in front of our house unmowed so we can enjoy the wildflowers as is or pick bouquets for inside. What a nice gift from Mother Nature! How long will the wild flowers last in water? Do you add any preservative? Flowers and they are free. Beautiful Jennifer. I love the wild flowers that grow by us. So pretty. 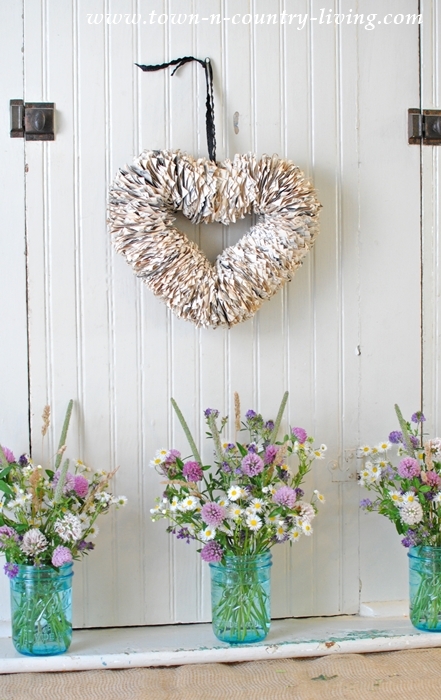 I love that heart wreath too … and you’re in luck! 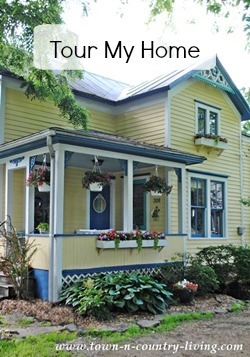 I bought it from a fellow blogger, Rosemary Barnes. She has an Etsy shop and she has 1 heart wreath left. You can find it here: https://www.etsy.com/listing/398720241/heart-wreathornamentdoor-hanger-handmade? . Rosemary is an amazing artist and is such a sweet soul. 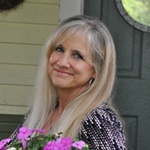 She blogs at http://www.villabarnes.com/. She’s always making something! I have several of her items. 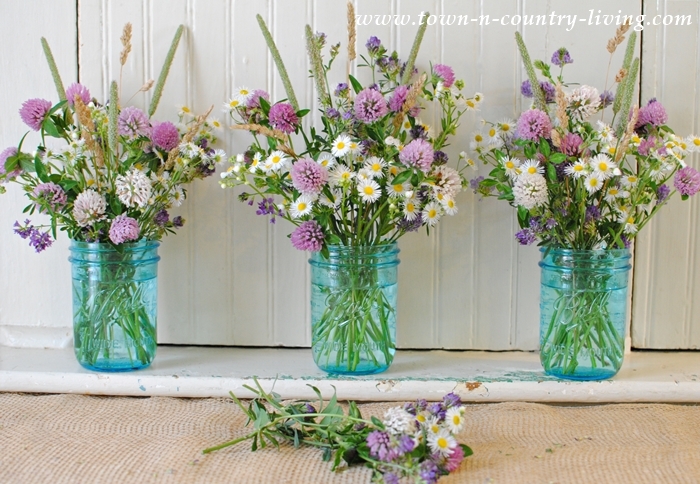 I love wild flowers, Jennifer, and your little arrangements in the mason jars are so sweet. Your Bella is a beauty too!